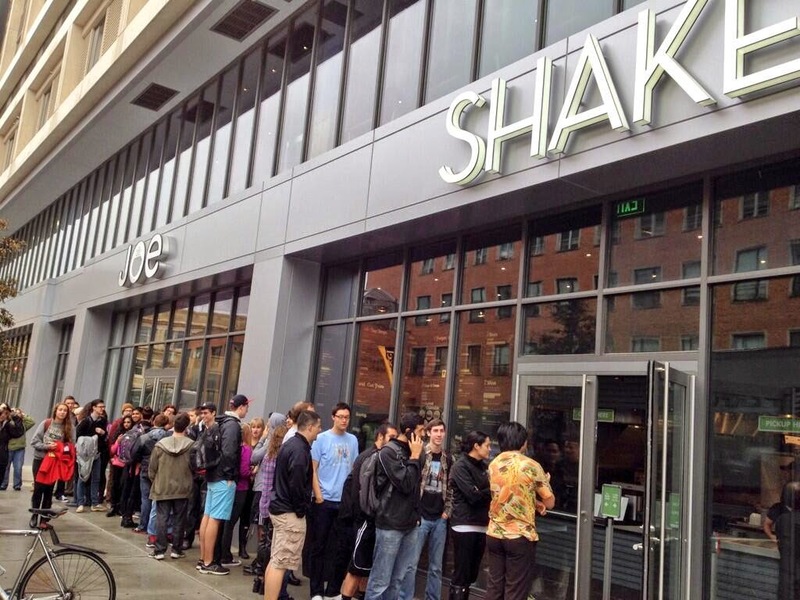 CONSORTIUM FINANCE NETWORK: Is Shake Shack Worth a Half-Billion? Is Shake Shack Worth a Half-Billion? Those who argue passionately about their burgers say it's an East Coast-West Coast thing. Shake Shack, the growing burger chain started by successful restaurant entrepreneur Danny Meyer in New York, is about to go public. The company is owned in part by Meyer's restaurant holding company and by private-equity investors. For much of its 13-year history, Meyer insisted the company would expand in a slow, disciplined way. And Shake Shack did. For years, Shake Shack burgers were known among an in-the-know crowd ready and willing to pay more for quality, familiar with the actual address of those few locations that sold the meal-time treat. Now the Shack has opted to go public, issue new shares on the NYSE and raise about $100 million in its offering. Meyer's team has a 20%-plus ownership, and like many entrepreneurs of our time, has endorsed the company issuing separate voting shares (Class B stock) that will permit him to maintain a controlling interest (in the way Mark Zuckerberg continues to call the shots as a minority shareholder at Facebook). Investment bankers from Morgan Stanley and JPMorgan are valuing the company between $570-670 million. Financial analysts who follow the food industry like to categorize Shake Shack into the "fast-casual" or "better burger (expensive burger)" sector. Many say Shake Shack competes in affluent markets, vying for customers willing to spend more than $20/person for a fast-food experience. Chipotle is mentioned often as a competitor. Many questions pop up; some will be answered in the weeks to come, as the shares storm out the market gates in late January and start trading actively in the first quarter, 2015. 1. Why would the company change course, launch a more aggressive expansion plan, and decide to plant its brand in locations around the country and world? Meyer and his private-equity owners are likely pushing for sustained growth, encouraged by the accelerating popularity of the product and brand. They might have concluded that now is the time to take advantage of such momentum. With emphasis on quality, with little emphasis on price, the company established a cult-like following in and around Manhattan. New Yorkers are familiar with Shake Shack's long, snaking lines that extend outside a store onto the streets, around corners. Impatient New Yorkers have been patient about standing in cold weather to pay double-digits for burgers. In early years, some were known to have driven 40 miles or more to buy the burgers in Westport, Conn. There are now seven Shacks in New York, including locations in Grand Central Terminal and at Citifield. Meyer was prudent, careful, proceeding cautiously, as the market and demand for product grew. The company's board may have concluded that overall growth will not necessarily come from same-store sales, but from the rapid increase in the number of stores. The company has 63 sites, 34 in the U.S., and a presence in nine countries. Total sales in 2014, when audits are done, will likely reach $100 million--a 21 percent increase. The industry assesses food chains by a concept, "AUV," average unit volume per store. In the New York area, its stores are generating $7 million in sales/year. Non-New York stores are generating sales less than half that. Management believes (and the industry agrees) that same-store sales will likely flatten out (or sag or even decline in some regions). Hence, to increase earnings, the company must add new stores. To add new stores, the company must (a) raise more in private capital (not something current investor-owners will want to accept), (b) raise more debt, (c) increase the number of franchisees (something it hasn't done willingly), or (d) raise funds by going public. It chose (d). In its IPO, the company will raise about $90-100 million, sufficient enough to build new restaurants in strategic locations. Industry experts are comfortable Shake Shack will take care not to build new sites too close to others to avoid restaurant cannibalization. To achieve the kind of sales growth it has experienced the past few years, the company can rely on new sales from new sites and assume old sites will maintain the same level of activity. It could also increase prices, but even with its loyal, well-to-do consumer base, the company can't risk daring to sell a $10 hamburger at prices $12-15, at least not yet. Microeconomics will alert company managers that price increases could cause some customers to run away, even if some analysts say Shake Shack's customer base is not price sensitive ("inelastic demand," professors would say). Some say the IPO is rationalized in part by Meyer's objective to cash out, boost or "monetize" his holdings. If all goes right, some reports say his stake will top $100 million after the IPO. But he could have "monetized" his holdings, as a private company, just as easily by selling his stake in private markets. 2. Is now the right time to go public? Its investment-bank advisers have coached the company's board. Once Shake Shack made the strategic decision to go public, banks counseled the company on price, timing and execution. Last year the new-issue market was bustling, as equity markets continued to ride a post-crisis momentum. There have been rollicking, upsetting interludes every other month in stocks, such as the one we are enduring this month. That would discourage many IPO debuts or sideline them until markets breathe fresh air again. 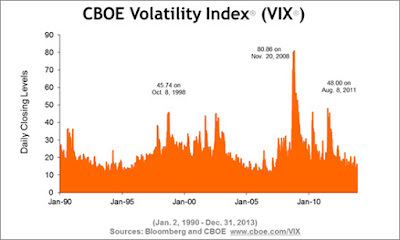 If the current volatility can be pinpointed by other factors (political uncertainty abroad, a few sluggish corporate earnings announcements, the impact of oil prices on big players in the energy industry, etc.) then bankers and the company's board will likely proceed with confidence. 3. Is the company worth more than a half-billion? That's the looming question of the moment. The company and its bank advisers decided what amount to raise, decided to issue equity (instead of debt), and decided to go public. Then it needed to determine the market value of the company, a value it will tweak, recalculate and reassess right until the shares are issued. Market value is based on many factors--revenue and earnings growth, actual cash flow, re-investments to support planned growth, risks and uncertainties of all kinds, and investors' expectations of a return on equity. Value is also based, in part, on supply and demand for new shares. Bank syndication units will have already canvassed the market, investors, traders, and favorite client accounts. Sometimes extraordinary demand may prop up the value, boost it higher than it deserves to be, based on investor perceptions. Preliminary assessments indicate the company could be valued as high as $670 million. (The stock will launch in the $14-19/share range with some expected "pop" in value in the first week; it will then likely settle into a more realistic range thereafter.) What does that imply for a company with $100 million revenues and reported operating-profit margins of about 20-30%. Let's assume these numbers imply the company will generate cash from current operations (before taxes and re-investments) of about $20 million in 2015. Financial wizards can deploy models to infer what growth rates lead to a $600 million-plus valuation. Rough calculations could show that the current valuation assumes the company will grow cash from operations at a rate of about 8-10%/year indefinitely. But what about long-term growth--especially if there is a perceived limit to how high it can price its burgers, a realistic limit to how much in sales one site can generate, and a plausible limit to how many Shake Shack locations the world can digest? A midtown Manhattan store, already generating volume of about $7 million/year with lines that spill onto the avenues, couldn't possibly increase revenues unless the store expands (not likely) or increases prices (too much of a risk, when there is a Five Guys two blocks away). But the current valuation implies growth will continue at a 10%-plus/year pace far beyond the next five years. Some analytical reports suggest the company might be aiming for as many as 450 sites in the long term to ensure such growth. 4. Is the stock a good buy, once the IPO attention wears down? That will depend on an investor's horizon--short term, medium-term or long term. It will also depend on the analyst or investor's understanding of markets, trends, fads, and competition. Like Facebook's IPO launch, Shake Shack's opening days could be characterized by some intermittent stumbling out the gates (not due to technical glitches, but perhaps by some investors lumping its performance with the same struggles of McDonald's or with the way Burger King has bounced from owner to owner). But once it settles into a groove, the stock could be a good 1-2-year buy, capitalizing on growth momentum of the past two years. But long-term questions will loom. 5. Will the phenomenon (or fad?) dwindle away? Will consumers move on to something else or flee to the next new burger thing? Consumer behavior is always fleeting, often unpredictable. But consumers can be loyal to a brand or taste, in this case. If company strategy sticks to prudent expansion and avoids tampering with what has worked well in its restaurants, then there may still be long lines winding around its store corners 10 years from now. By most corporate-finance standards, the Shake Shack IPO is not gigantic. A modest deal, small by many standards, but one that will garner some attention. We aren't talking about a Facebook-size offering (billions and billions). It comes at a pivotal point in Shake Shack's timeline. The IPO and the periods thereafter could determine whether the company will have expanded too quickly for its market niche or whether the company will have begun to knock down burger-market boundaries and become a quality-burger brand name on both Coasts.